Our graduating Rainbow Songs families ask us regularly about next steps for music lessons. In particular, we get lots of questions about private music lessons. While there is not one perfect age to start music lessons or the best instrument to play, there are some helpful things to think about when considering music lessons for your child. This blog will look at things to consider before your child’s first private music lessons. We’ll write other blogs about what to think about when deciding upon the right instrument for your child to play soon. 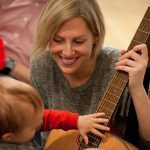 In the meanwhile, check out this great list of things to think about with your child before your take the leap into individual music lessons. If you still have babies or toddlers at home we look forward to continuing to sing with you! Rainbow Songs music school is a fantastic way to enrich your child’s life with music. Enroll today to join the jam! 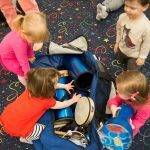 playing instruments together is a fun toddler activity! If your child is still quite young you may want to still consider group lessons or a choir. As your child gets older they will be able to communicate better the type of instrument that they enjoy. As well, your child’s age when they start learning an instrument might influence the style of music that they want to play. 2. What kind of music does your child like to play (folk, classical, etc..)? Classical music tends to be the starting point for many music lessons. It is a wonderful foundation for learning music skills and it is beautiful. Other styles of music are equally interesting and fun to play. If your child is particularly drawn to a specific style of music it might be great to have them start learning that music, as they will be engaged and interested in learning. 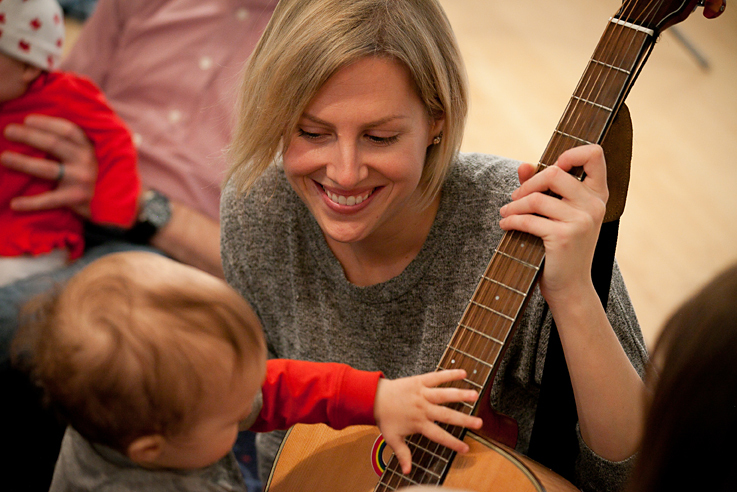 If possible, it’s great to be able to go hear different instruments played with your child. Go to a concert or show together. Listen to music together that includes the varied instruments. Listen to different genres of music too. Talk together about music while enjoying it together. Although your child might not be able to start right away learning the style they are interested in, it can be a great goal. 3. Location of lessons should be considered. Do you want music lessons in your home? Is there a great music school nearby? Do you know a private music teacher who comes highly recommended? Think about your family schedule when considering where is best for the lesson to take place. As well, you will want to think about the best location where your child will learn. For example, do you have a quiet room where the lesson can take place. Does that matter? Does your child focus well at home or does he or she get distracted by the fun activities available at home. Is your child shy or outgoing? These kinds of personality questions can help you to decide whether lesson at home or at a music school are best for your child. 4. Is the instrument a good fit for the size of your child? Instruments come in many shapes and sizes. Instruments also produce sounds in different ways. When considering an instrument for your child it’s great to think about the size and age of your child and their personality. For example, a small child would find playing a tuba challenging! If your child is really interested in an instrument that is too big for him or her at the moment it is great to look into getting a smaller version to start. If your child is young and small you might not want to start lesson on a cello. It’s important that the child can hold the instrument comfortably and with ease. For example, if your child is interested in playing guitar, you may want to consider trying a half size guitar to start. Also, you can talk to music stores to find instruments that have lighter action, knobs, etc.. for your little one. For example, purchasing an electric keyboard (some are amazing and sound like a traditional piano!) with a light action might be a great way to begin learning the piano. We’ll talk about individual instruments and the wonderful benefits of learning each of them in a future blog. 5. How loud an instrument do you want played in your house on a daily basis? Is that an elephant in the room next door? Sometimes when your child starts learning a new instrument the sounds emitted are less musical than desired. It’s hard to get a musical sound out of a trumpet to start! When considering the instrument that your child will play you will want to consider the whole family. Think about where your child will practice his or her instrument. If your drum kit is in the main living room will you all enjoy your child’s practice time? And also think about how sound carries in your home. These issues may not matter if your child is practicing when most family members are out of the house. 6. How much does your child want to learn music and the particular instrument? One of the biggest questions we get asked is how do you know when your child is ready for music lesson. Our answer is, “when your child asks earnestly for lesson!” A factor for success with learning is engagement. If your child loves music and enjoys the instrument of choice then the likelihood that they will practice on a regular bases grows immensely. 7. Think about your child’s personality and the kind of instrument that might fit be a good fit. Your child is unique and lovely who they are. Figuring out which instrument best suits their personality is interesting. There are so many different kinds to try! Strings, brass, woodwinds, percussion, keys. They are all fun! A great way to find out is to allow your child to try out a variety of instruments. Your local public school might let you borrow an instrument over the holidays. And music stores often rent instruments on a short term basis. 8. How much time does your child have to commit to practicing (and what are your expectations)? Knowing how much your child should practice is a complicated question. Your music teacher should help you and your child to figure out the right amount. There are lots of variables that will go into answering that question. Some things to consider include: What else is the child doing with his or her day? Is a parent able to be there at practice time? How old is your child? It’s important to communicate clearly with your child the family expectations and those of the teacher. As well, it’s good to give room for your child to express how they are feeling too. 9. Take time to find the right teacher for your child. The relationship between your music teacher and your child is that of mentor and student. It’s important that your child respects and likes your music teacher. A fantastic musician does not make a superb teacher. Most music schools and private music teachers give one free trial lesson. We suggest that you try a few teachers to see different styles and approaches to learning. You’ll then be able to make an informed decision regarding the best fit for your child. Communicate with your child that music lessons and practice are joyful and fun. Learning to play an instrument, making music, enriches your child’s and your life by bringing the joy of music into your everyday life. There may be times when practicing is challenging, but the pride in learning how to play and instrument and in sharing music with others is something that your child can take with them throughout their lives.